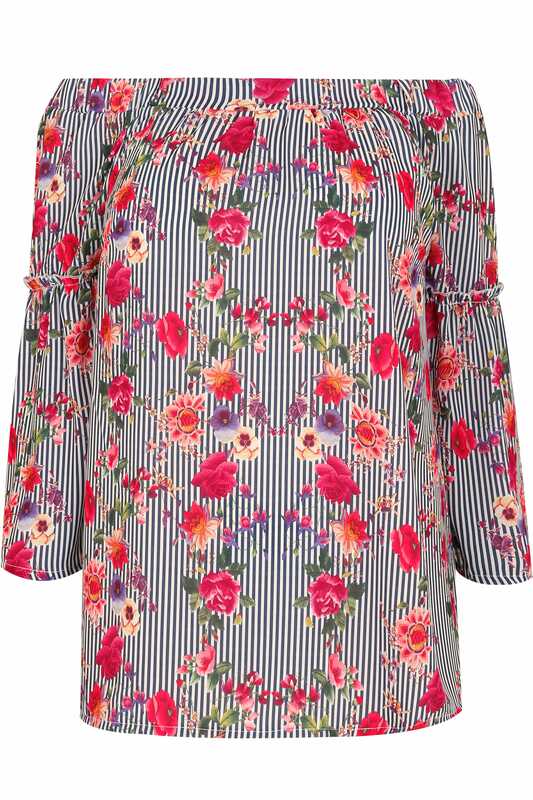 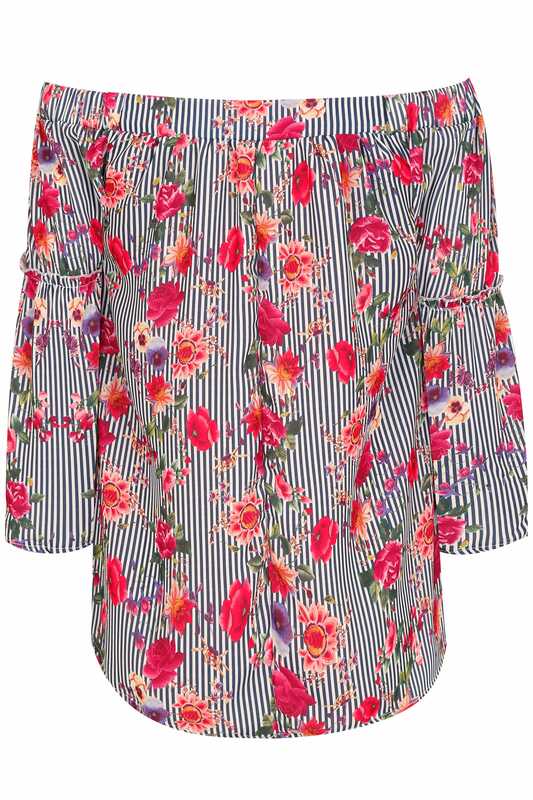 Introduce bold and eye-catching prints to your wardrobe with this chic Bardot top. 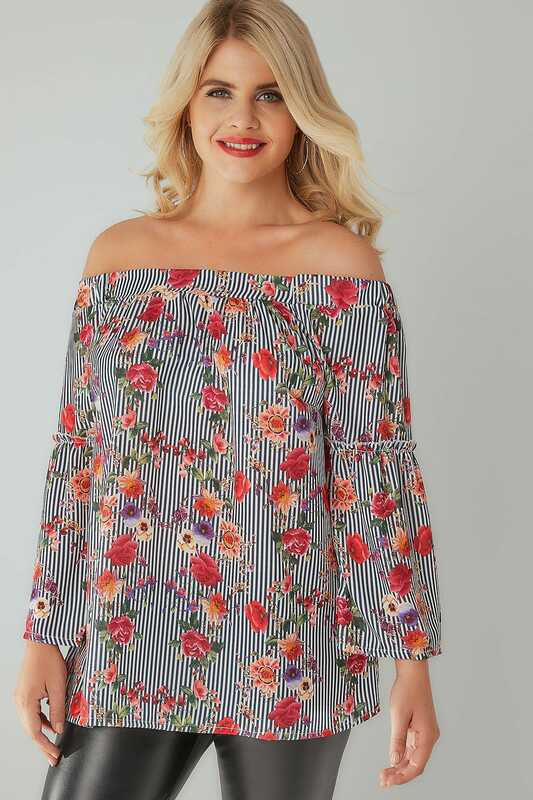 Designed with a contrasting stripe and floral print, it features contemporary flute sleeves and offers a comfortable lightweight fabric finish. 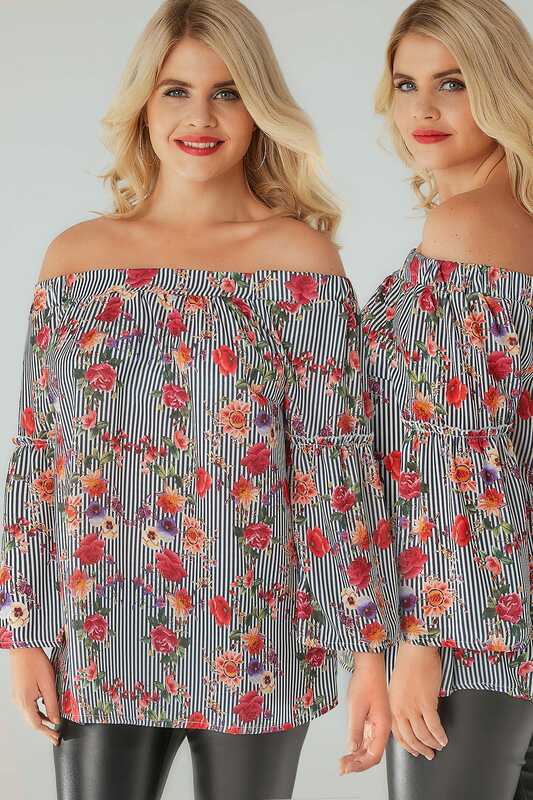 The perfect option for taking you from day-to-evening.